A simple and healthy one-dish Mexican meal with rice, kidney beans, veggies and cheese. This is one of my go-to recipes when I can’t think of what to make and I don’t have a lot of time. t’s similar to my chili recipe, where there are several different cans that you throw into one big pot, except this meal is meatless. The ingredients are all staples in my kitchen, and the meal comes together pretty quickly, especially if you skip the baking part. I Sometimes I don’t even microwave or broil the cheese; I just sprinkle it on and cover it until it’s melted. My mom used to make this dish when was I was growing up, so it brings back lots of memories for me when I make it. I find myself drawn to many of my childhood meals when I’m cooking, I guess because they remind me of home and there’s something comforting in that. I want to recreate that for my own kids. I’m not too sure if it’s working, but they’re still young. Right now dinners are often a struggle, especially with Cole. This meal was no exception. I don’t force him to eat it, but I also don’t offer him anything else for dinner. So he left the table without eating anything, and eventually came back to it and had a few bites but said he didn’t like it. The rest of the family enjoyed it though. In a large skillet heat oil over medium heat. Cook onion, garlic and red pepper until tender, about 5 minutes. Add water, rice, mushrooms, beans, tomatoes, chili powder, cumin, salt and pepper. Simmer covered until rice is tender and most of liquid is absorbed, about 25 minutes. Transfer to a baking dish and sprinkle with cheese and green onions. Bake at 350F for 15 minutes until cheese melts. If you’re low on time you can just pop it in the microwave or under the broiler for a few minutes to melt the cheese. Serve with a dollop of sour cream. I love seeing the recipes you are trying out and have made a few. I make something similar to this dish, but with ground beef. Looks good! love your blog! 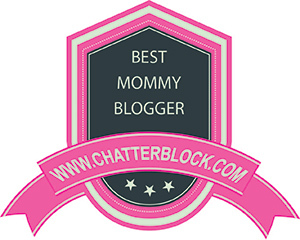 I’ve given you the Cherry on Top award…come to my blog to pick it up and pass ‘er on! This looks so good! You have some great recipes that Ill be trying soon! I found this on Pinterest and tried it tonight and we loved it!!! So easy! I used microwave rice so it was fast. Thank you!!!!! This was pretty good. We skipped the mushrooms and red pepper since we didn’t have either on hand. Also, we did not drain the tomatoes (was not specified in recipe) and it turned out fine. Thanks for sharing! This may sound stupid, but what is converted rice ? haha, no that’s a great question! It’s brown rice that’s been pre-soaked and steamed, so it takes less time to cook than regular brown rice and tastes more like white rice. It’s also known as parboiled rice. Converted rice is just parboiled white rice, not brown rice. That’s why it tastes like white rice. Brown rice is just white rice with the hull still on it. Has anyone tried substituting white rice for the converted rice? Did it turn out? I don’t have any converted rice on hand. I saw this on Pinterest today and it looks amazing! It’s right up my son’s alley! I can’t wait to make it! I assume you add the rice when you add the other ingredients? I didn’t see it, but I may have missed it. Yes you’re right, you add rice with the other ingredients, it was missed. How many people does this serve? I’m thinking of increasing for a potluck. Funny, I just made this for dinner last night! It makes about 4 adult servings.